If you are one of the millions of Americans who chooses to exercise your Second Amendment Right but haven’t quite mastered the proper technique with guns, then this is the essential manual for you. It is your right to carry a firearm to protect yourself and your family. However, it is your responsibility to know how to operate that gun correctly and safely. Don’t wait to be placed in a dangerous setting faced with an armed attacker. 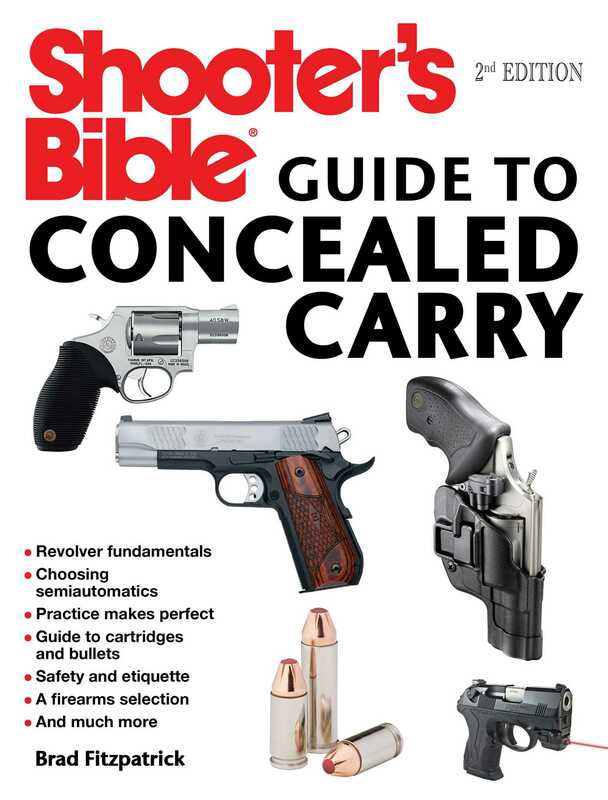 The updated second edition of the Shooter’s Bible Guide to Concealed Carry is an all-encompassing resource that not only offers vital gun terminology, but also suggests which gun is the right fit for you and how to efficiently use the device properly, be it in public or home. Firearm expert Brad Fitzpatrick examines how to practice, how to correct mistakes, and how to safely challenge yourself when you have achieved basic skills. Included within is a comprehensive chart describing the various calibers for concealed carry, suitable instructions for maintaining it, and most importantly, expert step-by-step instructions for shooting. Once again, renowned firearms expert Fitzpatrick delivers poignant tips and provides valuable information. The purpose of this book is to familiarize yourself with firearms and to gain the confidence you need to protect yourself in the worst of situations. Brad Fitzpatrick has a Bachelor's Degree in Biological Sciences from Northern Kentucky University and a Master’s Degree in Fine Arts from National University in La Jolla, California. Brad writes biology and conservation-related books and articles for various national publications. He and his wife currently live in Ohio.